Everyone loves to celebrate. And what better way to do it than by bringing thousands of people together in some sort of communal activity? Music, art, film — these are all great ways to blow off some steam and revel in the triumphs of the human spirit. Of course, the human imagination has also cooked up some… more unusual ways of entertaining itself. These are the world’s weirdest, wackiest, and most wickedly wonderful festivals. Are any of them on your bucket list? What do you do for New Year’s? Champagne and fireworks? Watch the countdown, nibble on some finger foods? Or maybe just some good old-fashioned rum and crying? Well, whatever you do, I guarantee it’s not as cool as how they party in Thailand. There is a fairly serious religious aspect to the holiday. It is expected that family members who live far away will return home for Songkran; it is common to visit temples, make food offerings to monks, and wash statues of the Buddha with water. However, this water purification ritual extends to other people as well — and that’s where the fun comes in. Roads are closed to motorized traffic and instead given over to the biggest water fights in the world. 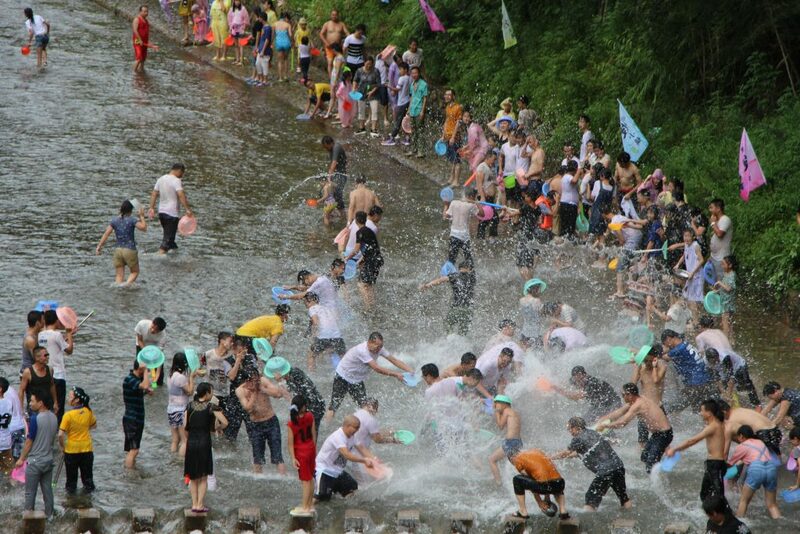 Old, young, locals, and foreigners: all take to the streets with their water guns to hose each other down. This practice is meant to symbolize the washing away of sin to ring in the new year. But it also symbolizes my ultimate childhood fantasy of fighting in a water war. Nakizumo means ‘crying sumo’, which is a pretty succinct way of summing up this annual Japanese tradition. Unlike normal sumo wrestling, these very special matches involve babies. (Yes, babies.) Each wrestler enters the ring holding an infant. The two combatants stand facing one another, each holding a child up to the heavens like Rafiki from The Lion King. 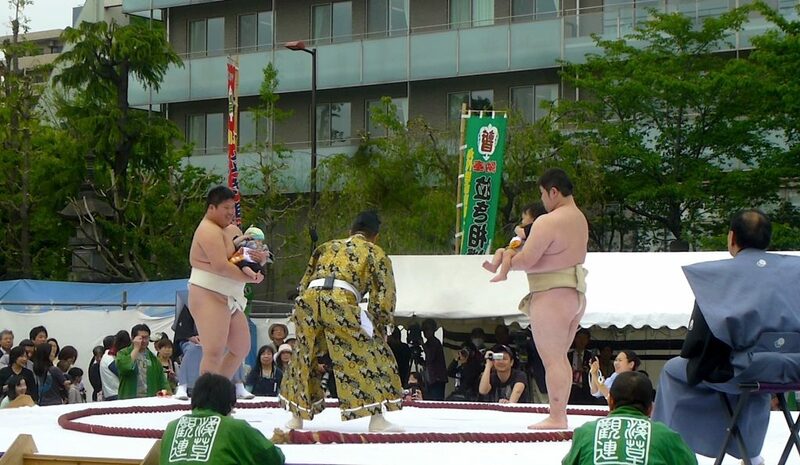 The winner is the sumo whose baby cries first (or, in the event of a tie, loudest). In order to speed up proceedings, the referee will admonish the youngsters to ‘naki’ (‘cry’), while the wrestlers make scary noises and pull faces in an attempt to induce tears. If that fails, they may opt to don scary masks. The Nakizumo Festival takes place in temples across Japan in April of each year — including at the Sensoji Temple in Tokyo. If you’re a fan of dairy products, this unusual derby in Brockworth, Gloucestershire, England will be right up your alley. For centuries, it has been tradition for locals to roll 7-pound wheels of cheese down Cooper’s Hill and then go running after them. Whoever reaches the wheel first gets to keep it. Like many other weird traditions, this one has multiple possible origin stories. Some say peasants were originally required to participate in the cheese roll in order to maintain access to public lands; others say the game was derived from some kind of pagan ritual. There are typically 4 and sometimes 5 races run in a day. The most celebrated cheese chasers are Chris Anderson (22 victories), Steve Brain (18), and Izzy John (13). 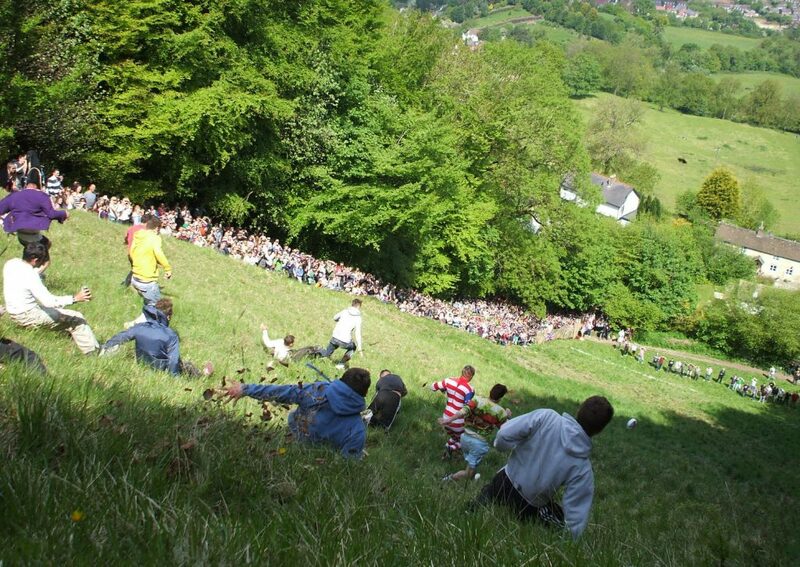 The Cheese-Rolling is held annually on the UK’s spring bank holiday. 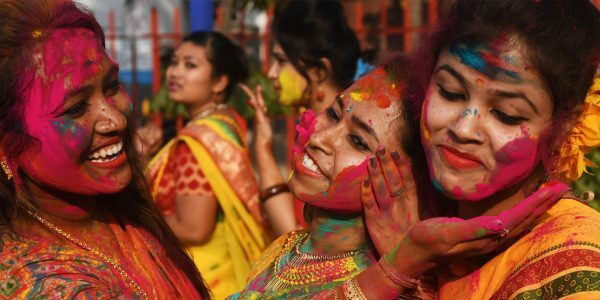 As you may have noticed, lots of people have very exotic and colorful ways of celebrating the advent of Lent. In Northern Europe, you have duck pulling; Brazil has its Carnival; Galicia, Spain has the inimitable Entroido. The festivities are spread out over several weeks in the lead-up to Ash Wednesday, and include all manner of activities — from the mundane to the truly one-of-a-kind to the mildly painful. There is typical Carnival style celebration involving drinking, feasting, and costumes. There are also mud fights and fire ants. The most infamous part of the Entroido is the farrapada, a public free-for-all in which participants hurl mud, flour, and even fire ants at one another. Another part of Entroido involves townsmen who dress up as peliqueros, spiritual cleaners who help drive away demonic influence. Unfortunately, the peliqueros are quite demonic themselves, taunting and lightly whipping passersby. If you’re wondering why the Galicians do this, it apparently stems from the belief that a little bit of pain will help drive the devil out of you. In the tiny town of Manganeses de la Polvorosa, in Spain, the people have an odd way of celebrating the feast day of their patron saint. It involves a bell tower, an excited mob, a goat, and gravity. Every June, a group of young men climb the steeple and toss a goat into the square below in honor of St. Vincent. Not to worry — the locals congregate beneath the church, spread out blankets, and attempt to catch the poor creature. If the goat survives this ordeal, it is paraded through the streets of the town like a conquering hero. If not… the party goes ahead as scheduled, regardless. 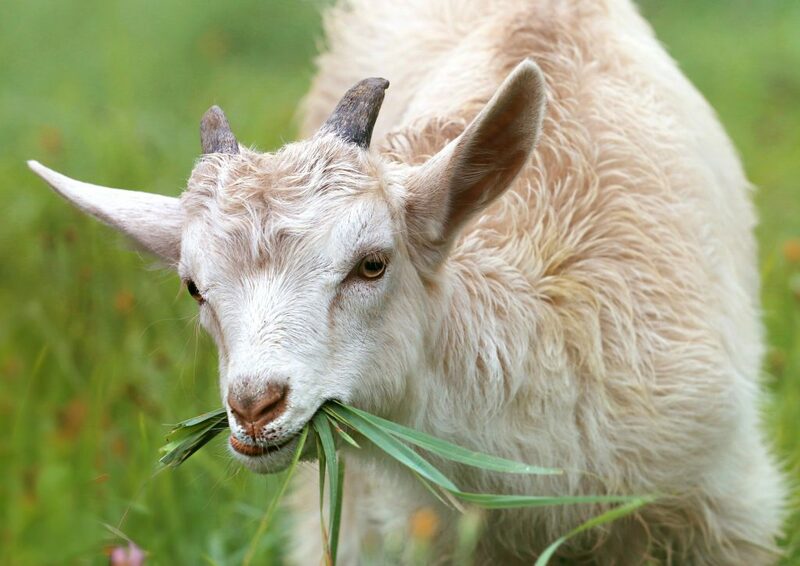 Animal lovers need not fuss: since 2004, only fake goats have been used. The origins of this tradition differ depending on whom you ask. Some say a priest once fed paupers with goat’s milk; when the goat later fell out of the tower it was miraculously caught by villagers. 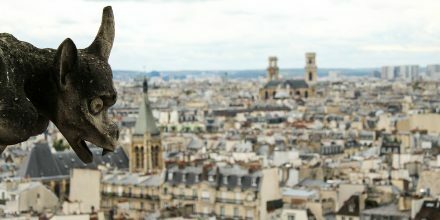 Others say the original goat climbed the belfry to steal bird food, leapt when it was discovered by the priest, and somehow managed to survive the fall. 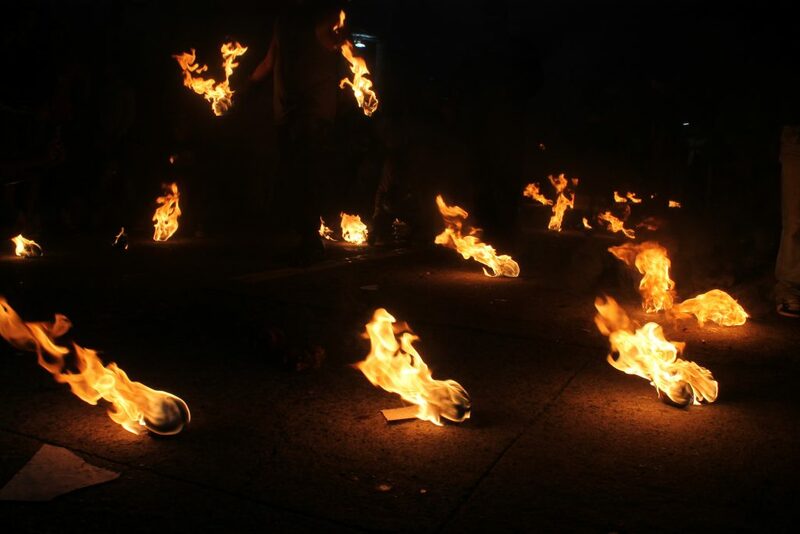 Every year, on August 31, the people of Nejapa, El Salvador cut loose by igniting balls made of cloth and dipped in gasoline, and throwing them at one another. The event is called ‘Bolas de Fuego’ — ‘Balls of Fire’. This uniquely Salvadoran take on dodgeball only dates back to 1922, but explanations are still vague and conflicting. 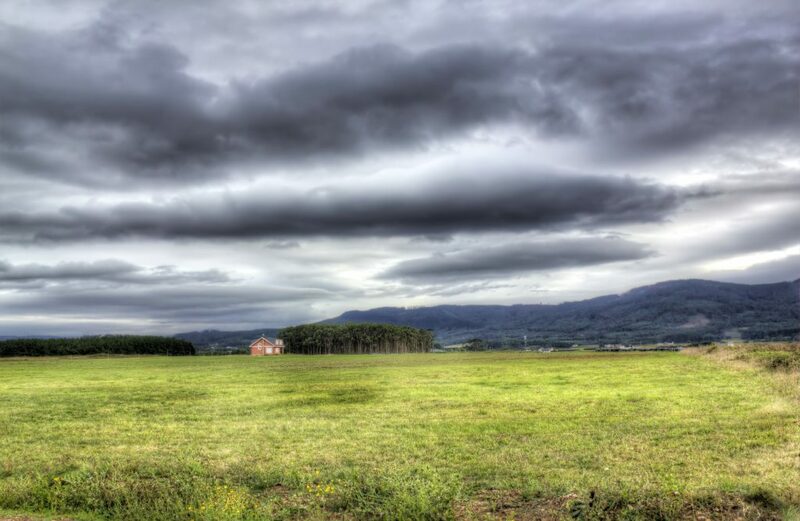 One story holds that the nearby volcano El Payon erupted in 1658, forcing people to flee to the area that is now Nejapa, thus indirectly causing the founding the city. 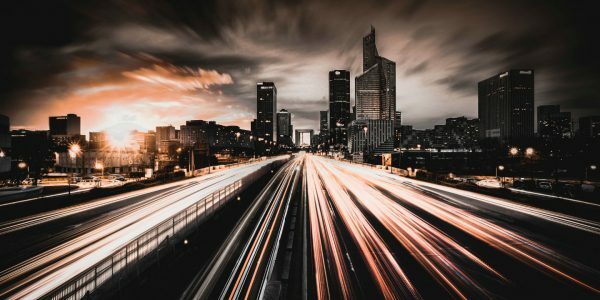 The balls of fire are therefore a wink at the city’s explosive beginnings. An alternative explanation holds that locals saw the town’s patron saint (Jerome) fighting against the volcano when it erupted again in 1917, and were inspired to start this festival in his honor. Either way, Bolas de Fuego is one of the most interesting celebrations in the world. It’s also surprisingly safe, since participants tend to douse themselves in water. Still, if you decide to attend you’ll want to keep your head on a swivel. 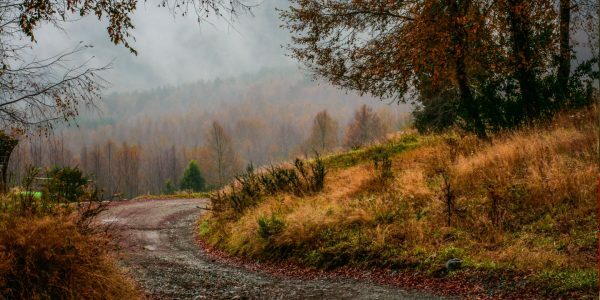 The city of East Dublin, Georgia clapped back when local radio station manager Mac Davis inaugurated the first ever Redneck Games that year. Held in the city’s Buckeye Park, the games satirized and revelled in outsiders’ perceptions of Georgians as hillbillies. Events included bobbing for pig’s feet, toilet seat throwing, the armpit serenade, dumpster diving, mid pit belly flops, hubcap hurling, and cigarette flips. The winner in each category was awarded a trophy made out of a crushed beer can. 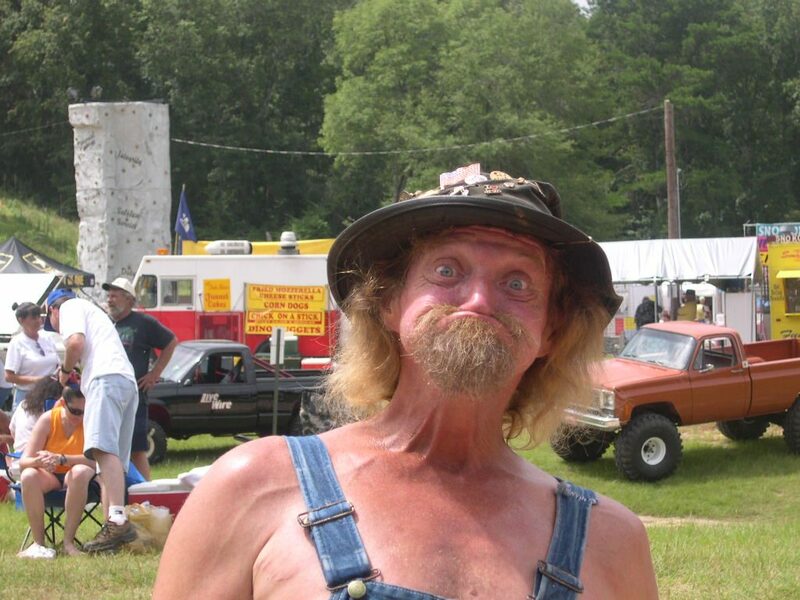 Although the first Redneck Games attracted more than 5,000 people, the event’s popularity waned and it was canceled in 2012. However, other cities in the U.S. and Canada have drawn inspiration from East Dublin’s example and have staged their own games in the same spirit. Goose pulling is a frankly gruesome ‘sport’. Here’s how it works. A goose (alive or dead) is tied by its ankles to a wire and hoisted off the ground. Riders on horseback then pass beneath the wire and attempt to decapitate the goose with their bare hands without slowing the pace of their horse. 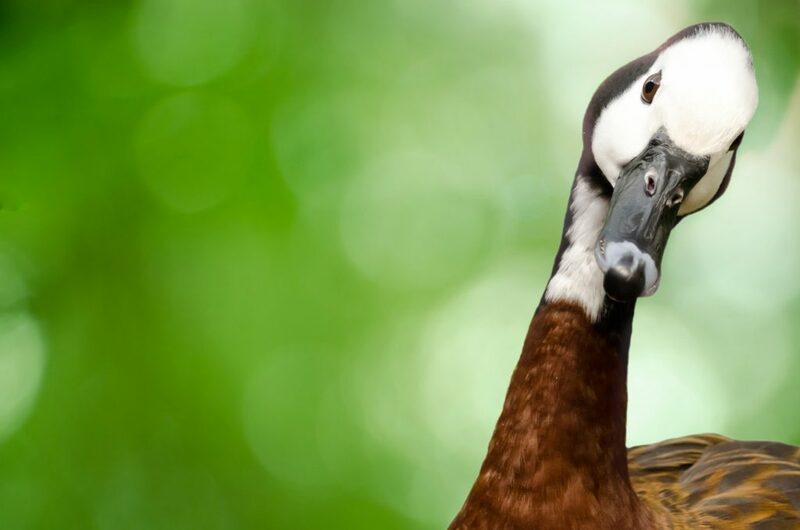 Sometimes the bird’s neck and head will be lubricated to increase the level of difficulty. Typically, the first one to sever the goose’s head wins some sort of prize. Festivals built around the sport probably have their origins in the 17th century, but they’re still fairly common in the Netherlands, Belgium, and Spain today. They are usually staged in the weeks preceding Lent. Some towns have taken to using pre-killed geese as a sop to animal cruelty activists, but that has done little to blunt the controversy. The Dutch village of Grevenbicht is just one community that still partakes of goose pulling. 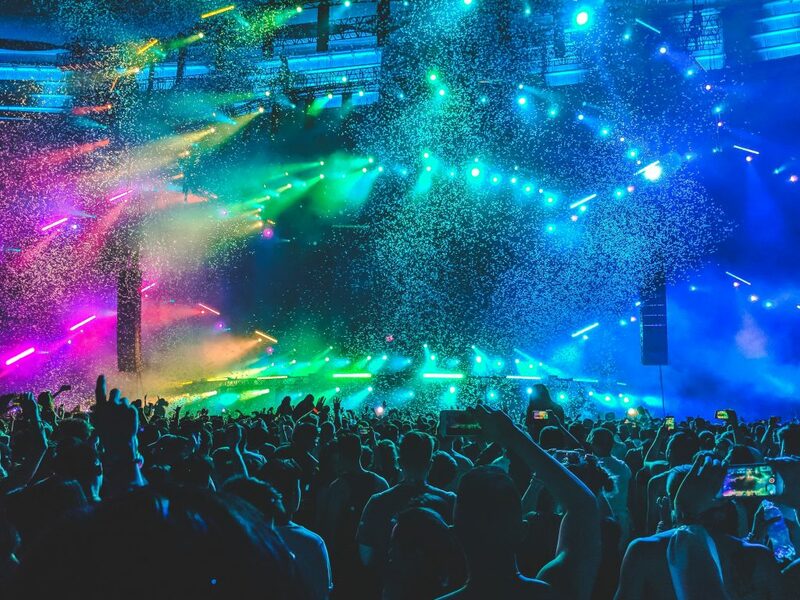 Let us jump now from the Netherlands to Nederland, Colorado, where the cryogenically frozen corpse of a Norwegian man has inspired America’s most endearingly weird festival. In the late 1980s, Trygve Bauge came to America. But he wasn’t alone. Along for the ride was his deceased grandfather, Bredo Morstol, whose body Trygve had preserved using dried ice. 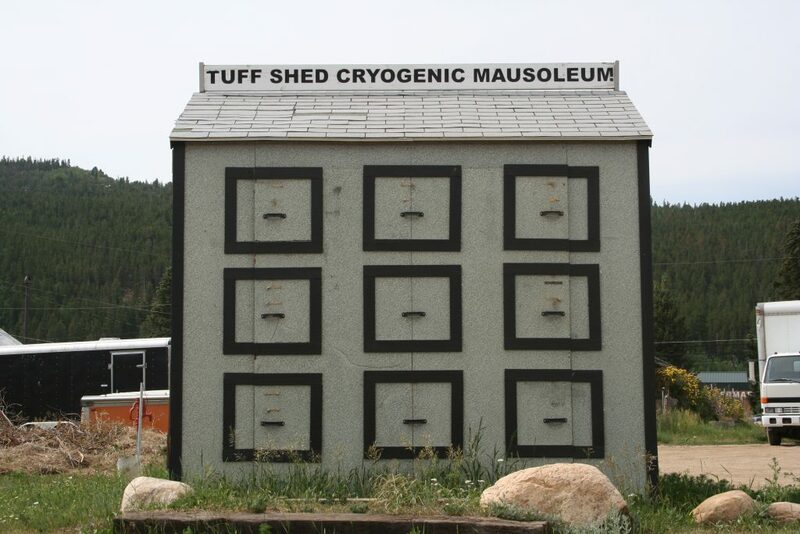 Grandpa Bredo was preserved in a facility in California until 1993, when his grandson had him shipped to his home in Nederland, where he was planning to build his own cryogenics laboratory. Trygve was ultimately deported from the U.S. for illegal residency. His mother took over care of her dead father’s frozen body, but she was evicted from her property some years later and the story about the frozen dead guy in her shed went public, causing quite a stir. Ultimately, Trygve found a company to maintain his grandfather’s body, and Bredo remains a resident of Nederland to this day. In his honor, locals began observing Frozen Dead Guy Days the first weekend of every March. The celebration includes a polar dip, a dead guy look-alike contest, a ball, and a coffin race. The shed where Grandpa Brego lives. Thaipusam is a Hindu holiday observed by Tamils, which is most notably celebrated in Sri Lanka, India, and Malaysia. It usually falls in late January or early February, and commemorates the day when Muruga, the god of war, was first given a spear by his mother Parvati. 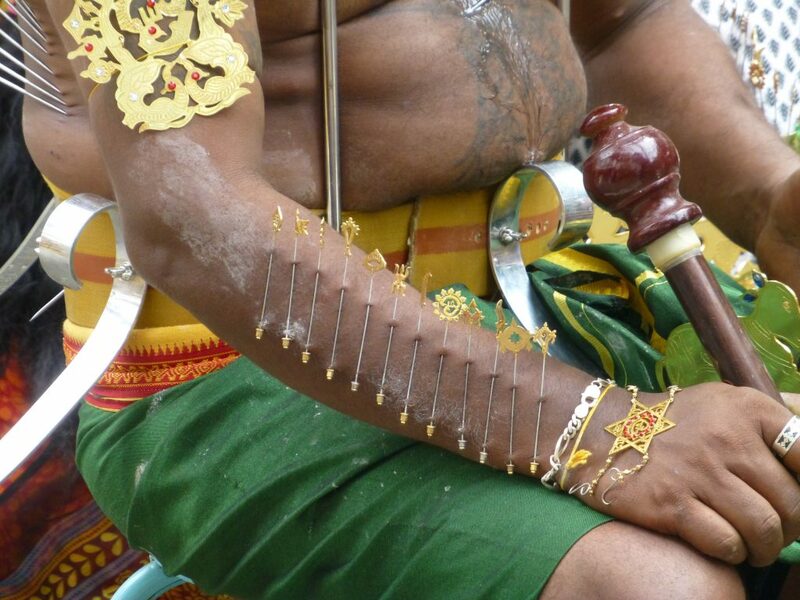 To show their devotion to Muruga and his all-vanquishing spear, worshippers pierce their own bodies with earings, needles, spikes, and the like in truly incredible ways. The most devout will even pull carts and sleds, which are attached to their bodies via hook, through the streets, as processions march from holy place to holy place. Not everyone who attends undergoes piercing; some simply drum and chant. But the ritual self-mutilation is certainly a memorable sight and a stark display of faith unlike anything you will see elsewhere. 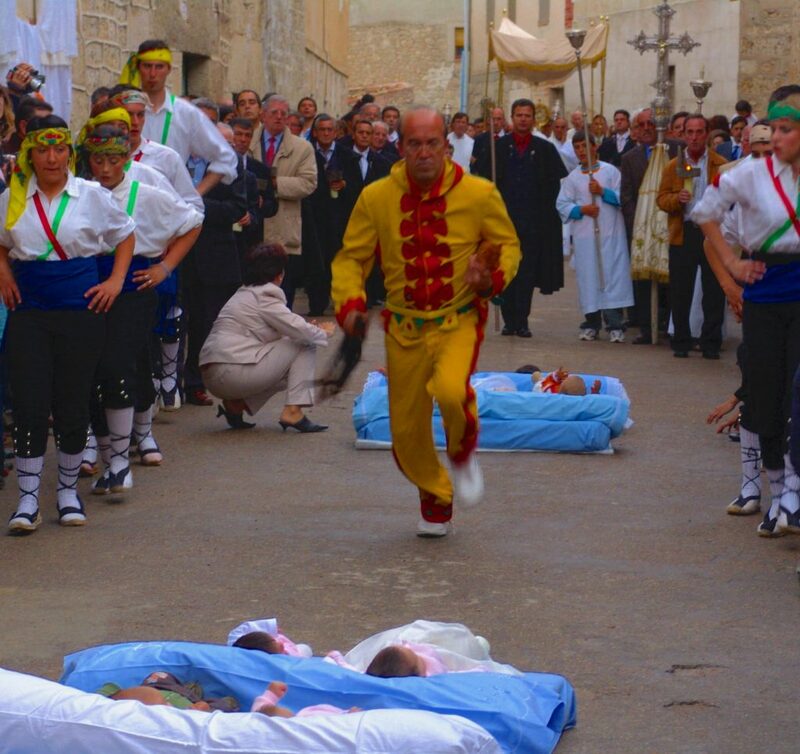 Every June, in Castrillo de Murcia, Spain, men dressed as devils run wild through the streets, leaping over babies. This is part of a religious rite that dates from the 17th century, but may have its roots much earlier, in pagan times. The festival begins with the devils parading through town, hurling abuse at the assembled crowd and lashing them with horsetail whips. Then the demons are run out of Castrillo by atabaleros (kettle drummers). As the devils flee from the drummers, they leap over all the babies born the previous year, who are laid out by their parents in the roadway. Amazingly, no child is known ever to have been harmed at El Colacho. Being jumped over by men masquerading as demons is meant to be a sort of adrenaline-fueled baptism for these youngsters; the idea is that the devils take all the sin and wickedness innate to the children with them when they go. Once the ceremony is over, the babies are showered in rose petals — a decidedly more agreeable tradition. Don’t worry, you won’t be invited to eat monkeys at this annual festival in Lopburi, Thailand. 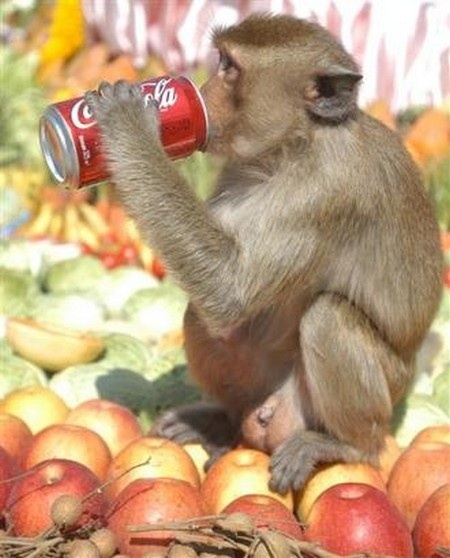 Instead, it’s macaque monkeys who are invited into the town’s impressive temple ruins to feast on fruit and vegetables. The monkeys are considered to be good luck by the locals. According to legend, a monkey king and his army once helped the godly prince Rama rescue his kidnapped bride from the clutches of an evil demon. As a thank you, his descendants receive a free dinner once a year. Not a bad trade off! 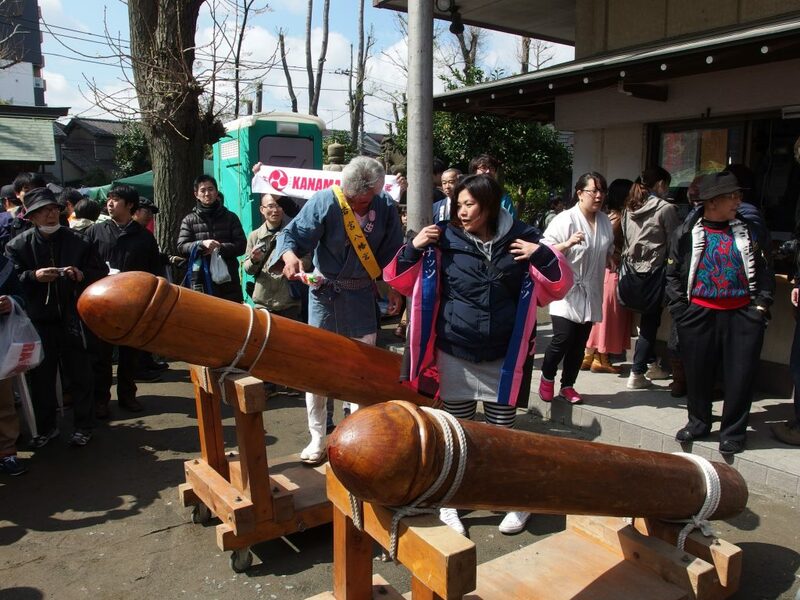 The Kanamara Matsuri Festival, which is held each spring in Kawasaki, Japan, translates roughly as “the Festival of the Steel Phallus”. Don’t worry — there’s a perfectly rational explanation for everything. The Kanayama Shrine, the focal point of the festival, is a house of phallus worship. (No, seriously!) Legend has it a jealous demon once fell in love with a beautiful young woman from the area, and so took up residence in her… intimate parts. From inside, he bit off the reproductive organs of two men who tried to consummate their marriages to the woman. In desperation, she asked a blacksmith to forge a metal phallus, which she used to break the demon’s teeth and free herself. The Kanamara Matsuri festival commemorates the male anatomy with floats, candies, and souvenirs shaped like male appendages. It also raises money to help find a cure for HIV. There’s no religious mystery to this one. No ancient traditions, demons, or metallic anatomy. Just the simple love of playing air guitar as your favorite tunes wail in the background. 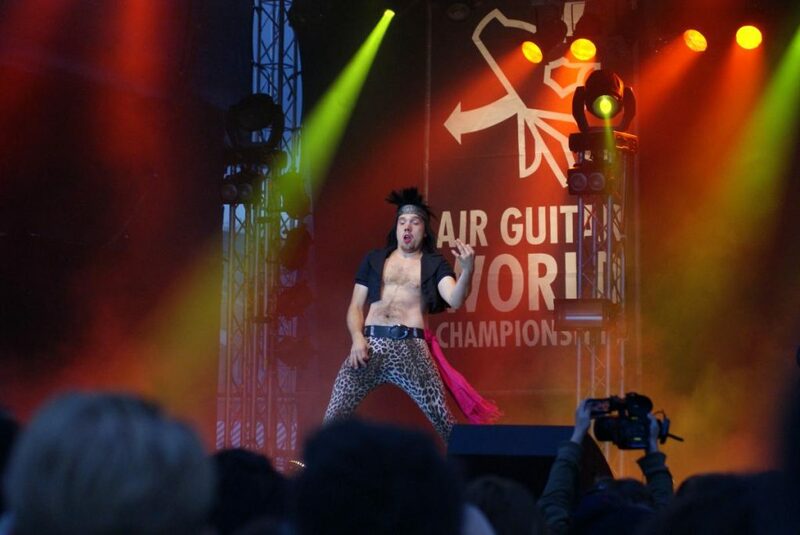 Established in 1996, the AGWC invite air guitarists from all over the world to come show what they got in Oulu, Finland. Their appeal has spread to an international fanbase, and there are several affiliated national level competitions around the world. This year’s championships will take place from August 21-23, 2019. 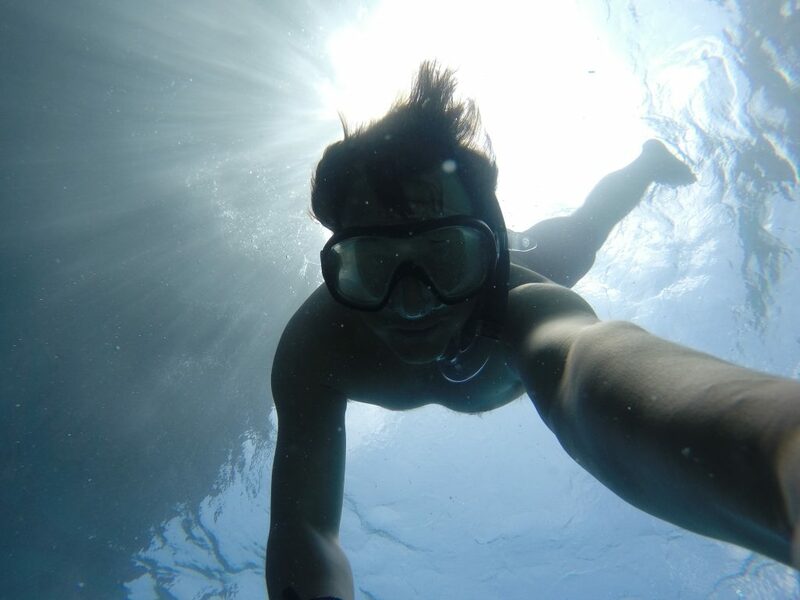 The Florida Keys’ annual Underwater Music Festival may be the only performance art event more exotic than the AGWC. Founder Bill Becker invites divers of all ages to come down to the keys, grab a special locally-designed instrument, and experience a totally unique concert beneath the waves. There are no bands playing live; instead, Becker blasts aquatic-themed songs through special speakers while the attendees play air guitar… err, water guitar? Because sound travels more quickly in water than in the air, the acoustics are said to be quite unlike anything you’ve ever heard. The larger point of the festival was to raise money and awareness for the corals off the Florida Keys. Sadly, the festival has not taken place since 2015. But it’s worth keeping a Google alert, just in case it one day resurfaces. 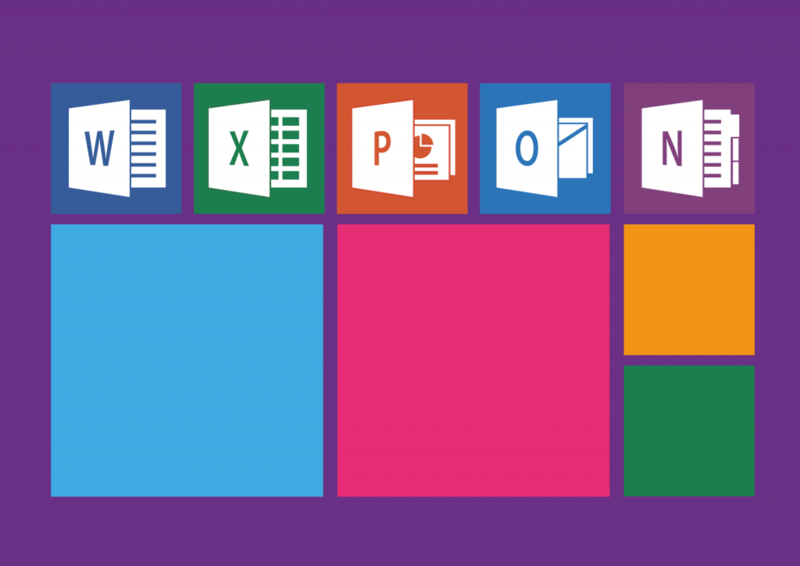 That’s right, there’s a Microsoft Office World Championship, and it’s no small deal either. Sadly, the competition is only open to students, so if you know a young person who’s passionate about line breaks and slide transitions, you should get them on this stat. The prizes are quite extraordinary: $7,000 USD for first place, $3,500 for second place, and $1,500 for third. 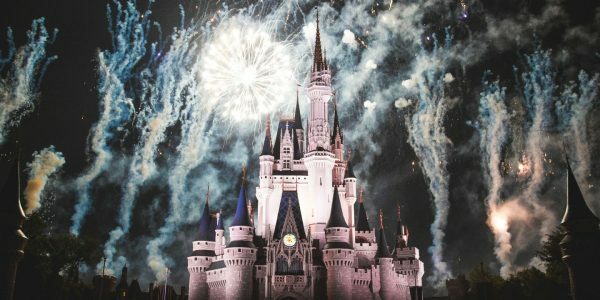 This year’s competition will be held in New York City from July 28-31. 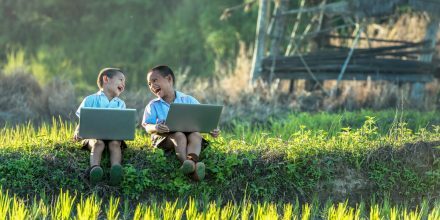 It’s a great chance for computer-savvy young people to truly Excel. 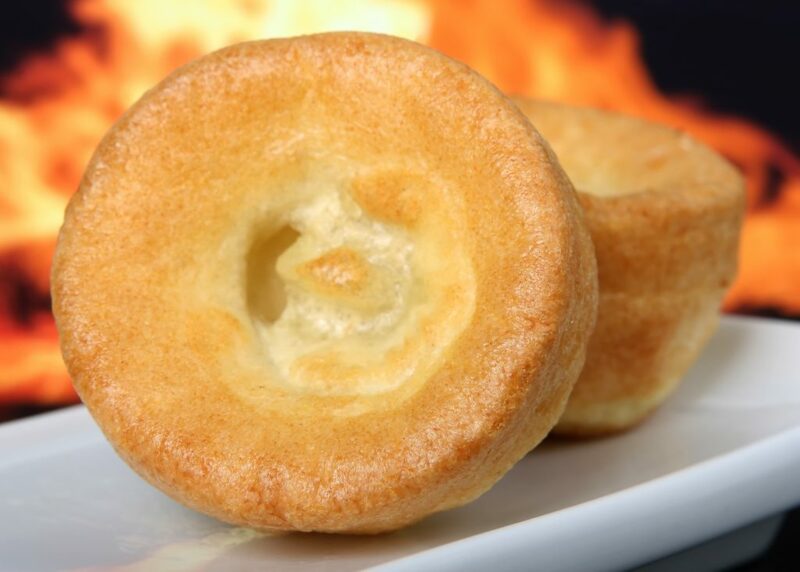 If you’re not a connoisseur of English food, a Yorkshire Pudding is a baked pudding with the consistency of an extra doughy bun. It’s often served as a side with British dinners — and occasionally used as a floatation device! The giant puddings used in Thackray’s races are baked of the same flour, water, and egg as their smaller counterparts, though they’re also lacquered in yacht varnish to help keep the water out while their occupants paddle them down the river. The Yorkshire Pudding Boat Race has traditionally been held in Brawny, North Yorkshire, though there is apparently no event scheduled for this year.